In collaboration with Academic Research Centre Amsterdam (AMC), Comon Invent developed an electronic “nose” that can diagnose lung diseases by the ‘smell’ of a patient’s breath. The SpiroNose uses substances in the breath to make a quick diagnosis. The ultimate goal of the SpiroNose is to be able to recognize diseases faster and in an earlier stage. Since October 1, 2015, the eNose network is operational in the Port of Amsterdam. 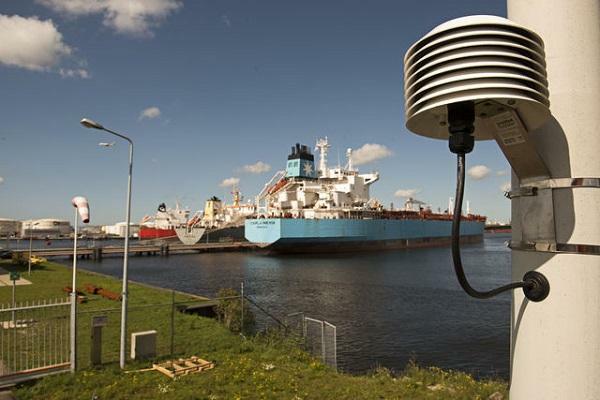 The eNose network project (GeurInzicht) is an initiative by the Port of Amsterdam in cooperation with EPA North Sea Canal Area and the Province of North-Holland. These parties work together in this project with private companies active in the port and the Fire Department. The project aims to improve the quality of life in and around the port area. In 2016 the project group gained experience with the eNose network. The first annual report has been published by the Port of Amsterdam Authority. This month TAL Trieste commissioned a network of 12 eNoses surrounding the tank farm San Dorligo in Trieste. 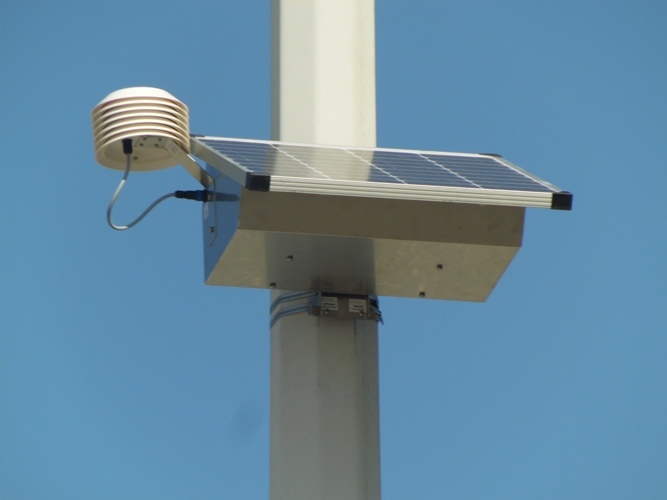 The eNose network will continuously monitor changes in air composition in and around the tank farm vicinity. 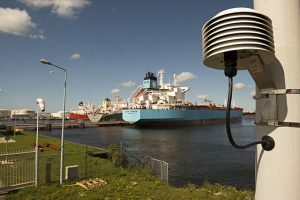 The eNose network provides TAL with additional information about the rise and spread of emissions and can be used as a tool for pro-active odour emission management. 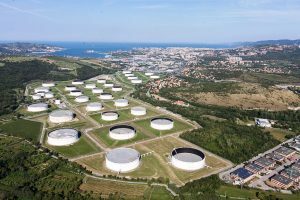 Tank farm San Dorligo della Valle is connected to the SIOT Marine Terminal which is located in the Bay of Muggia in the Gulf of Trieste. 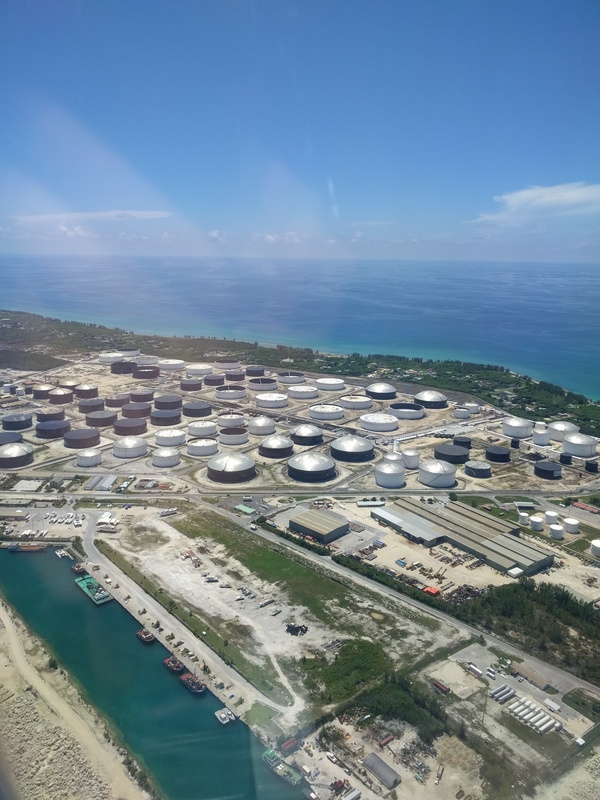 SIOT Marine Terminal is the starting point of the TAL (TransAlpine Pipeline) system: averaging 41 million tons of crude oil unloaded annually, TAL accounts for 70% of the traffic in the Port of Trieste. This makes it the busiest oil terminal in Italy and the second busiest in the Mediterranean area. Each oil tanker which docks at the marine terminal has a significant economic impact on the local area. At the Marine Terminal crude oil is unloaded at the piers and transported via four pipelines to the tank farm of San Dorligo della Valle. The San Dorligo tank farm, where the crude oil is stored and handled, is located in the south-east of the industrial area of Trieste. From the start of its operations the TAL crude oil pipeline have been From the very beginning of its operation the TAL crude oil pipeline has been a symbol of economically and environmentally responsible behavior, high ethical standards and a strong awareness of the importance of maintaining safe operation. 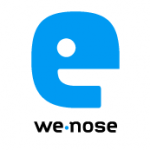 Ensuing the We-nose network expansion in 2015, the Port of Rotterdam Authority has increased the number of eNoses by another 100 locations. 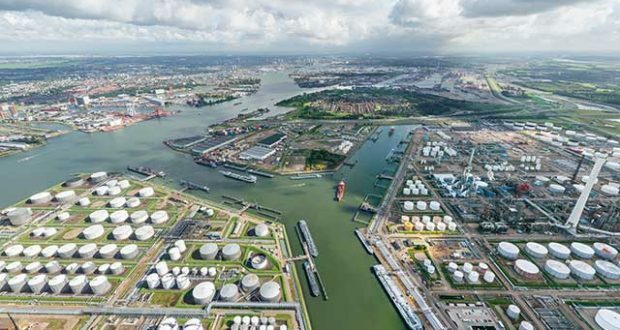 After commissioning this latest expansion early 2017, the dense We-nose network now comprises a total of 250 eNoses covering the complete Port of Rotterdam and surrounding Rijnmond area. The focus of the most recent expansion is twofold. 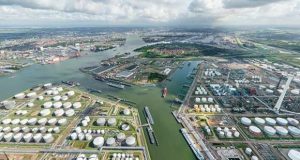 Firstly, intensifying the network in the key areas of the existing network, such as the Botlek, Europoort and the main waterways in the port area. And secondly expanding the network more towards the Maasvlakte on the west side and towards the Heijplaat on the east side of the port area. This latest expansion allows all stakeholders in the project to obtain even more detailed information about the rise and spread of (odorous) gas emission in and around the port area. On April 19th and 20th Comon Invent will attend the international odour conference MKO 2017 in Krakow, Poland and present a research about monitoring agricultural smells with the eNose. During the event internationally recognized experts in the field will share their knowledge and discuss different approaches towards odour nuisance, odour assessments, measurements and control in a variety of sectors. The MKO 2017 conference is especially interesting for representatives of companies and institutions related to waste water treatment plants, landfill sites, agriculture, composting & recycling facilities and the gas and oil industry. For a detailed program of the conference click here. At the conference our colleague Bianca Milan (eNose expert) will showcase a research conducted by Comon Invent about the application of eNoses as a tool to measure odour nuisance caused by pig-farms. In 2015 two projects were conducted focusing on the odour situation around pig-farms. One of them was a network comprising 5 eNoses around a pig-farm with a history of persistent odour complaints in the nearby community. During four months in the summer period 63 odour perceptions were gathered. This concerns residential complaints and recordings in logbooks. These perceptions are used as reference analyzing the eNose data. The result of this analysis shows that 37% of the references could be positively explained. The alleged source could be ruled out as cause of the nuisance for 30%. 34% of the nuisance could not be substantiated, for example by lack or variable wind. The analysis was not only focused on the impact but also on the emission sources. Two main emission sources are present on the site. The eNose data reveals that one of these two predominantly causes the annoyance. 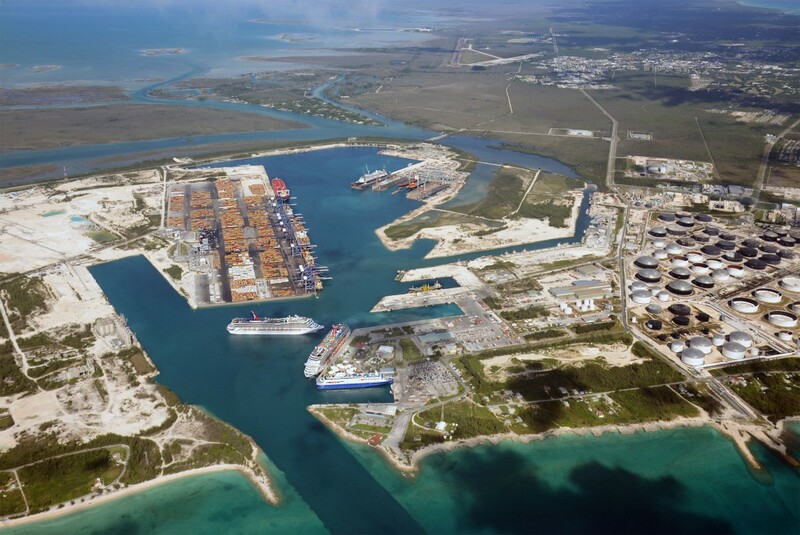 Comon Invent has started an eNose project at Freeport Grand Bahamas to address the odour situation in the industrial cluster. Check out this article about the project in the The Freeport News below. Minister for Grand Bahama Dr. Michael Darville led Government Heads of Department on a tour of Capital Investment and Development Projects throughout Central and West Grand Bahama this past Friday, April 7, 2017, which provided the perfect opportunity for those in attendance to witness firsthand the E-Nose System Project in the Freeport Industrial Park that borders the Southern Shore Communities of Pinder’s Point, Seco Town, Lewis Yard, Hunters, Bevans’ Town, Mack Town and Hawksbill. The E-Nose System Project provides 24-hour air quality monitoring in the Freeport Industrial Park with data collected determining, if any, the effects of exposure to hazardous chemicals to the environment and health of individuals in the aforementioned residential communities and surrounding areas. The electronic nose is actually based on the principle of bionic simulation of human olfactory system of odor detection. Hundred years ago the famous inventor Bell has proposed the idea of ​​detecting the smell, but until the last century 50 years after the relevant research began to have substantial progress. From the 80s of last century, Europe and the United States began to develop practical odor detection technology, and gradually developed products. Today, the electronic nose has been applied to environmental monitoring, security, traffic safety, medical and other fields. 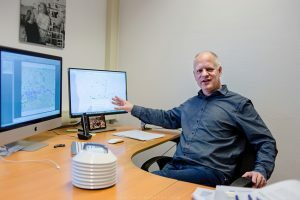 Simon was originally an electrical engineer in the Delft University of Technology’s laboratory, specializing in the development of smart sensing components. From the early 90s of last century, he founded his own company Comon Invent and began to develop the electronic nose. Simon is on the computer to open another map of the world, marked above the global air pollution in the most serious countries and regions. China and the United States, of course, the two most serious pollution, followed by India, and let me surprise is the Netherlands Rotterdam port area is the worst place in Europe the air quality. Simon explained that because of the busy transportation of the ports and the surrounding chemical plants and large oil storage tanks, gas leaks are inevitable during production, transportation and handling. The wind will blow these gases to nearby neighborhoods. On December 4th 2016 Vopak Horizon Fujairah Ltd. commissioned an eNose network on its terminal premises. 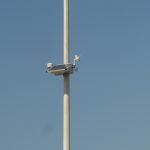 Twelve electronic noses powered by solar panels are installed on strategic locations on the site. 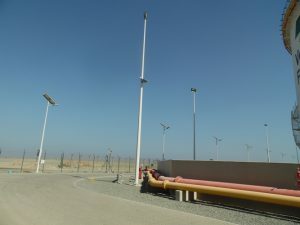 The eNose network will help Vopak Horizon Fujairah Ltd. to continuously monitor the rise and spread of gas emissions that could evaporate from the terminal, but also emissions that originate from sources outside the terminal boundaries and disperse over the terminal. The eNose network will provide Vopak Horizon Fujairah Ltd. with an additional operational tool and serve as an early warning system for SHEQ management on the terminal. 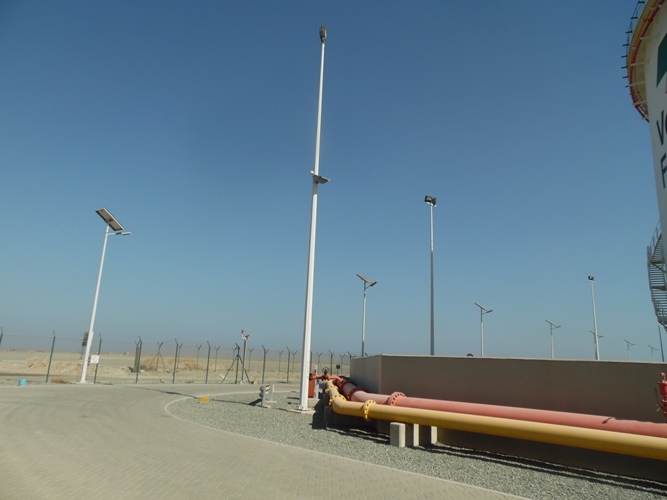 This is in line with the Safety, Health and Environmental Quality objectives that Vopak Horizon Fujairah Ltd. is committed to for its own employees, customers and visitors and also for its neighboring communities. 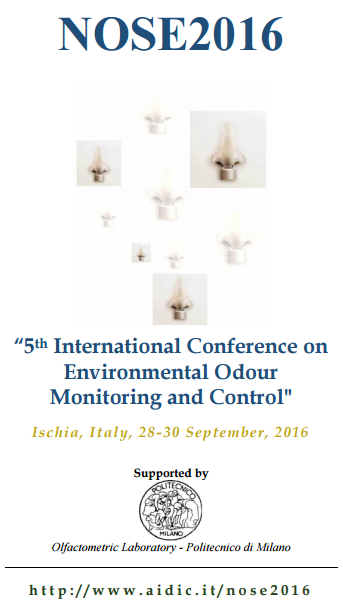 During the 5th International Conference on Environmental Odour Monitoring and Control (NOSE2016), Comon Invent presents its latest study on applying eNoses as a tool to measure odour nuisance caused by restaurants. At NOSE2016 scientific and industrial community members from all over the world to meet, exchange experiences and ideas, as well as discuss the main innovations related to odours, thereby including a wide range of different topics in order to give an all-embracing point of view on this continuously progressing issue. Cooking smells originating from nearby located restaurants quite often annoy people living in the inner cities. Currently it is difficult for authorities in the Netherlands to act against this type of odour nuisance. In order to map the hindrance situation around restaurants in a more effective way, numerous continuous odour monitoring campaigns using eNoses have been successfully carried out. Bianca Milan, senior eNose expert of Comon Invent, will present the interesting and promising outcomes of this research. Minister for Grand Bahama, Dr. Michael Darville, in his recent contribution to the 2016/2017 Budget Debate shared the findings of the World Health Organization (WHO) and Pan American Health Organization’s (PAHO) assessment with respect to environmental concerns associated with the industrial parks. The groups were contracted by the government in 2014 to complete an environmental and health risk assessment in the Lewis Yard and Pinder’s Point areas, with respect to the pollution concerns many residents of the area have expressed over the years. He pointed out that the assessment noted that there are no environmental and health risk factors associated with living in the surrounding area of the industrial park.